Like Cretic, Republic II, Romanic and Arabic II, Canopic started out with a line other than White Star. She was built by Harland & Wolff, Belfast, as Dominion Line's Commonwealth. 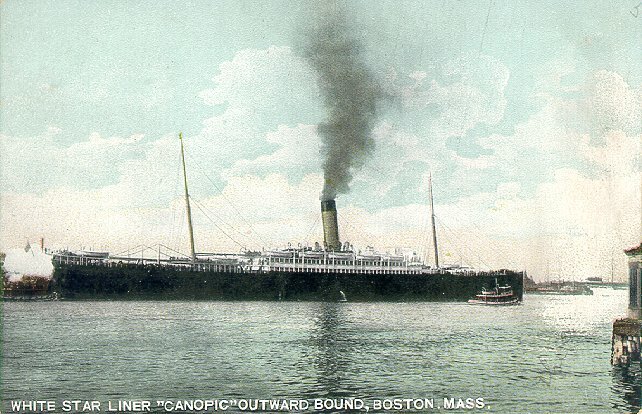 Launched in 1900, she made her maiden voyage on 4 October of the same year, from Liverpool to Boston. 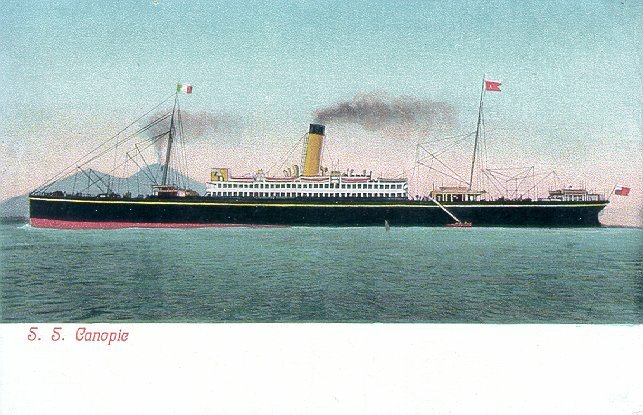 She remained with Dominion until 1903, serving Boston-Genoa in the winter of 1901-02, but otherwise remaining on the Liverpool-Boston service. 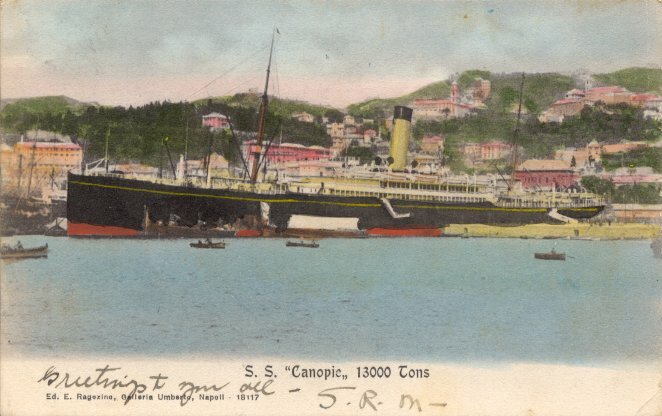 Then in 1903, like the other ships above, she was transferred to White Star as that line became the centerpiece of J.P. Morgan's International Mercantile Marine combine. 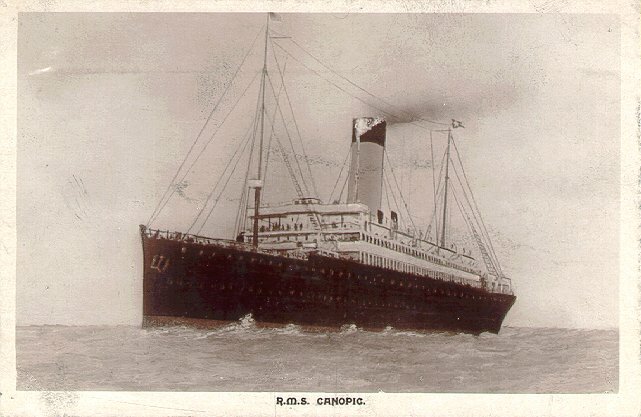 Renamed Canopic, she remained on the Liverpool-Boston service, which was also transferred from Dominion to White Star. 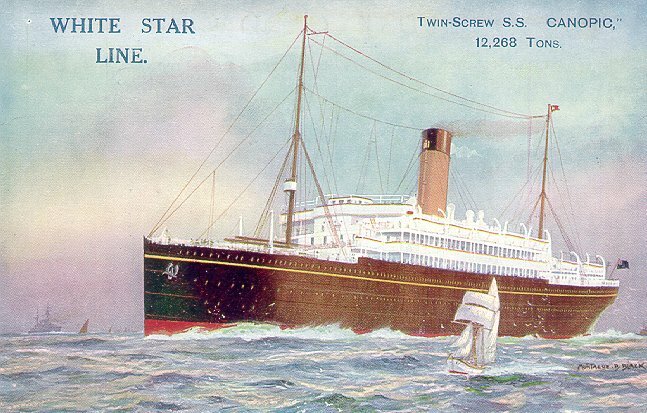 Her first White Star sailing on that route was on 14 January 1904. 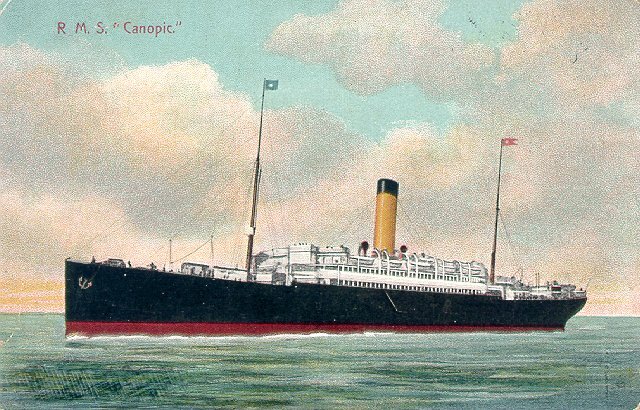 Canopic continued to serve on the Liverpool-Boston/New York and US-Mediterranean services until 1917, when she was taken over by the Shipping Controller and operated by the British government under the Liner Requisition Scheme. She returned to White Star's New York-Mediterranean service in 1919. 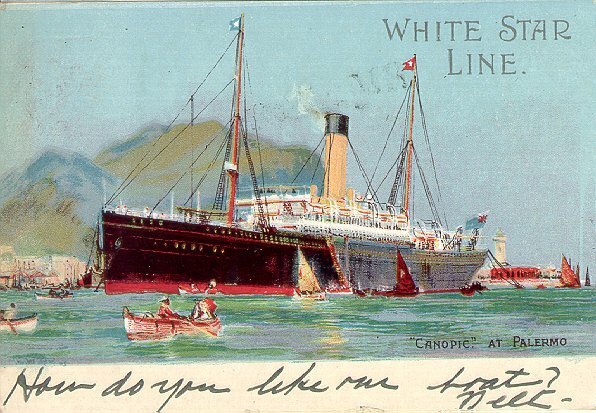 In the summer of 1922, she was moved to the Liverpool-Canada route and that fall she was moved again, to White Star's Bremen-New York route. She remained on that service until 1924, although her German terminal was moved to Hamburg in 1923. 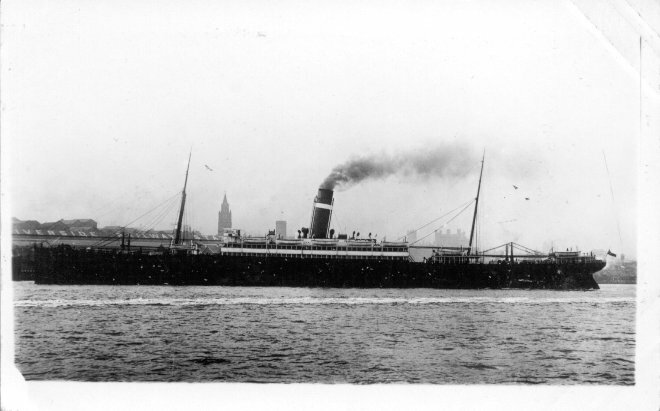 She served on the Liverpool-Philadelphia and Liverpool-Halifax routes during the fall and winter of 1924-25, and began her final trip, Liverpool-New York, on 25 April 1925. 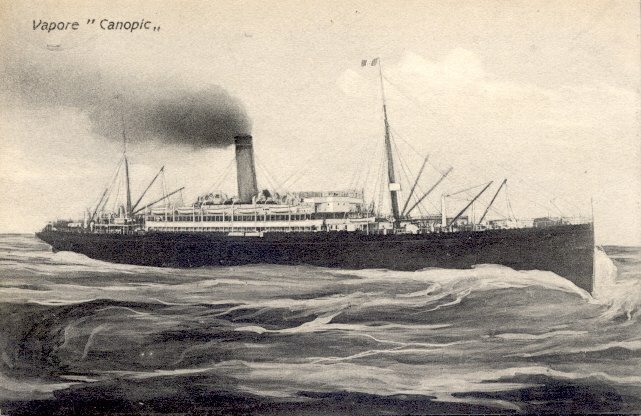 After being laid up for six months, Canopic was sold for scrapping at Briton Ferry, Wales, in the fall of 1925. Sources: The New York Times, various dates in 1925; Haws' Merchant Fleets; Bonsor's North Atlantic Seaway.